Made a camping trip to Mesa Verde. Hard to think of this semi-arid location as being a lovely place, but that is just what it is...especially this time of the year. Beautiful Fall colors, but more on that later. The animals in Mesa Verde have never been hunted as long as they do not stray outside of the Park boundaries. 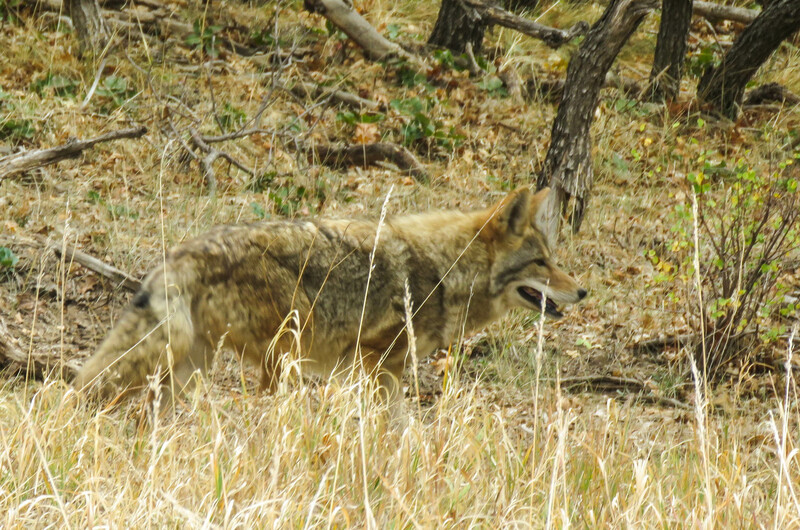 My wife, Nancy, and I came upon a coyote who couldn't care less about our presence. He has a heavy Fall fur coat. Here are a few pictures. New to this forum and waiting for my new TI 2018 to arrive from the dealership. Been reading of all your great adventures and can´t wait to start my own ones. My 12 year old son and myself are planning to do a "expedition" in June 2019. We are going to make a trip from the south (Falsterbo) to the most north part of the swedish westcoast (Svinesund). We have alot of sailing and ocean kayaking experience but this incredible TI is a new thing for us! Thanks, Keith. 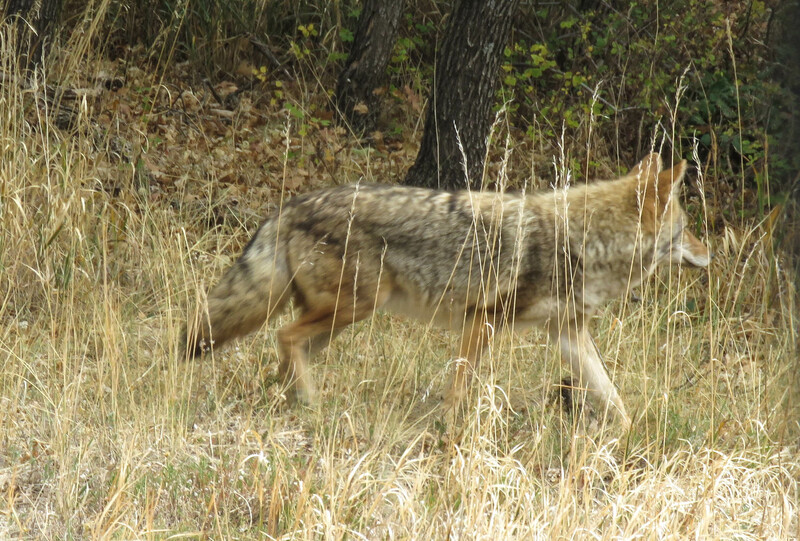 I have never seen a coyote in person. Looks beautiful. I am told that they can be a threat in a pack. Did you ever have a sense that it might attack? I've never seen 2 coyotes together, although I understand they have loose knit families. This summer I've seen about 6-7 coyotes during the day...always solo. The coyote in the picture above was just walking along the road about 50' away. She paid no attention to us in our car. I don't consider coyotes a danger, but you would not want to leave a young child near one. Hope you've got that tandem in working order this year. Plan to do a trip the latter part of November. 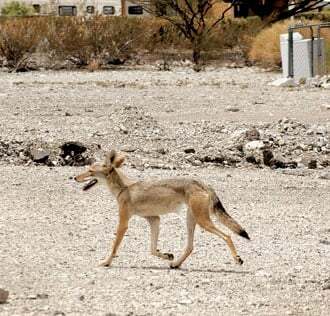 This is what the coyotes look like around Lake Havasu Az. Its super hot there in the summer and mild in the winter so they dont need the heavy coat. They are smart and athletic. We see them all the time walking around the area where we stay near the edge of town. Sometimes one, two or three. I think they eat mostly rabbits but they also like small dogs. Lots of seniors here with small dogs and apparently the coyotes will also dine on small dogs but I think its always a pet left out in the back yard too long. I think this is overall mostly rare. 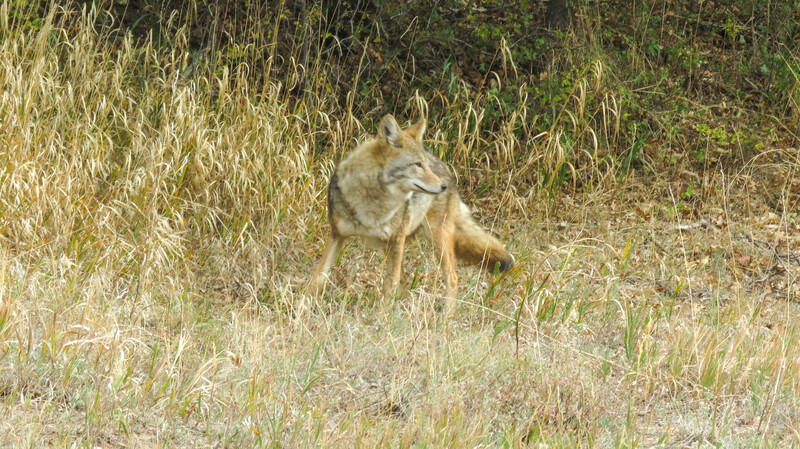 I doubt that the coyotes come near a person or someone with a small dog. They are afraid of humans in this area. Walt, I guess all is well as long as the coyotes leave the seniors alone!? That pic looks more like a racing dog than other photos that I've seen. Thanks for posting it. 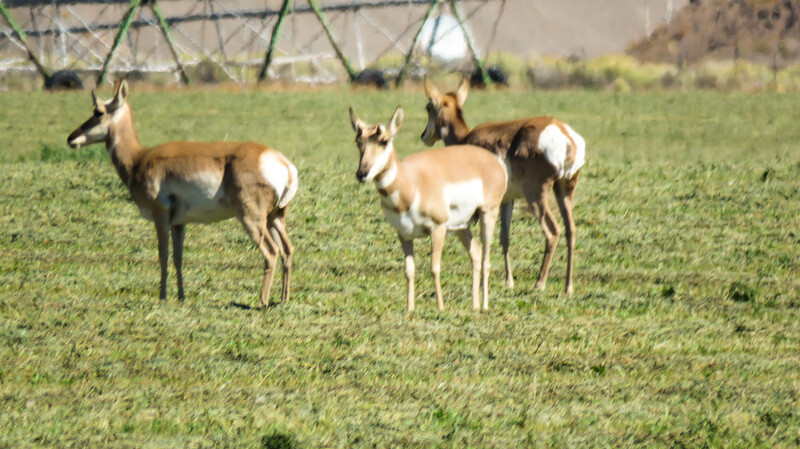 These first are some antelope we came across as we drove from Denver to MV. 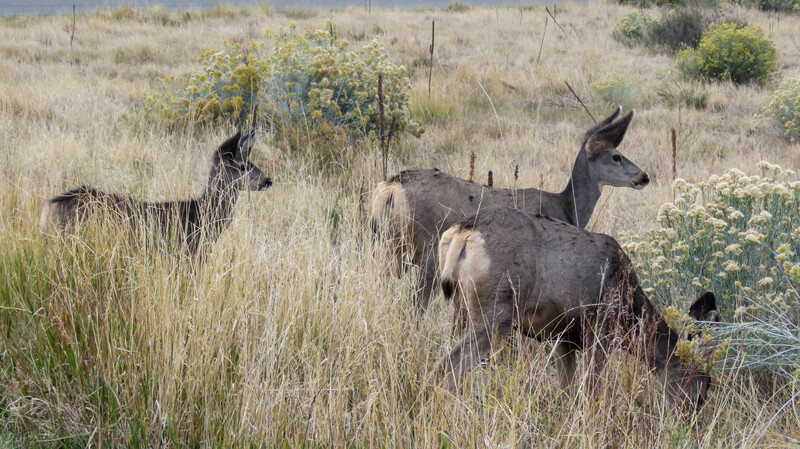 Some young bucks just beginning to grow their horns. This a mature buck. 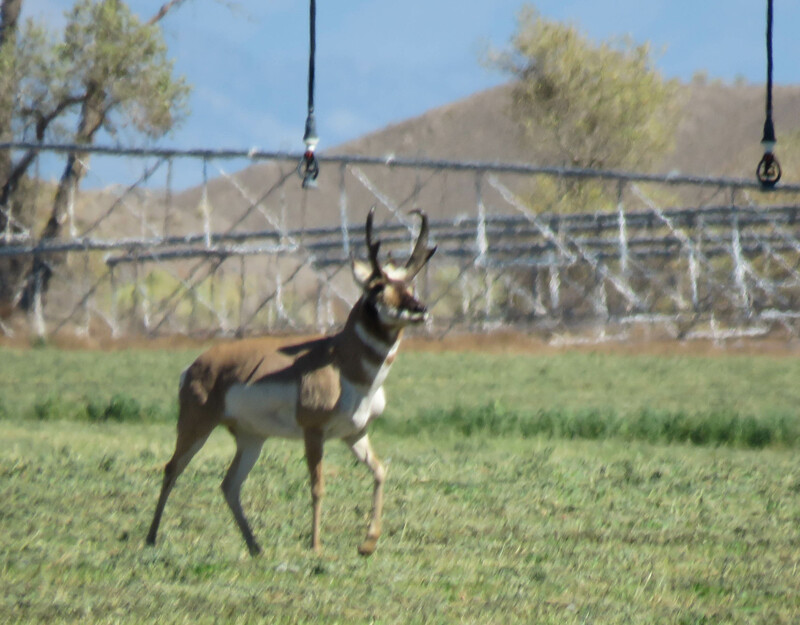 Unlike deer and elk, antelope do not shed their horns yearly...they are permanent. Around the campground in MV, deer are common and quite accustomed to people. This is a young deer. More deer listening for something. 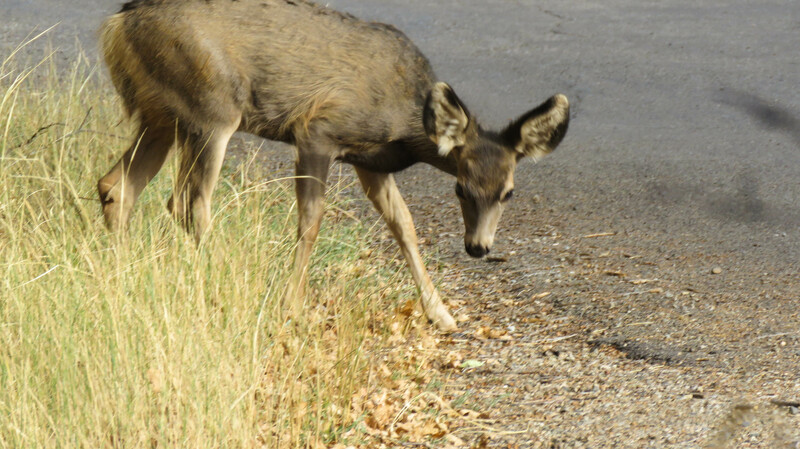 This time of the year antelope and deer seem to congregate in separate groupings of males and females with young. 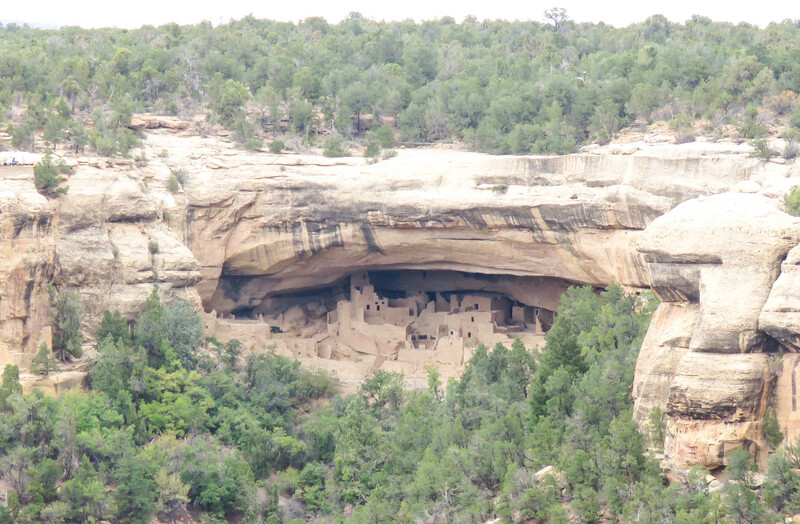 People go to MV to see the Cliff Dwellings. They are quite spectacular. Until about the 12th century, the Mesa Verdeans lived on the mesas, but then they began to build the massive cliff dwellings. The Fall colors were spectacular during our visit. 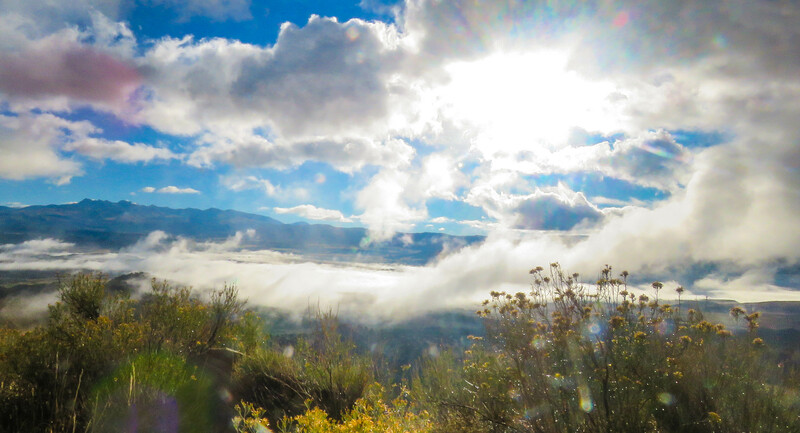 This picture was taken the morning we left MV as we drove down off the mesa. Mesa Verde has an elevation of from about 7000' up to about 8500'. Have a safe trip and keep us informed. Sounds wonderful! Durango has been a railroad town since its inception in 1880. 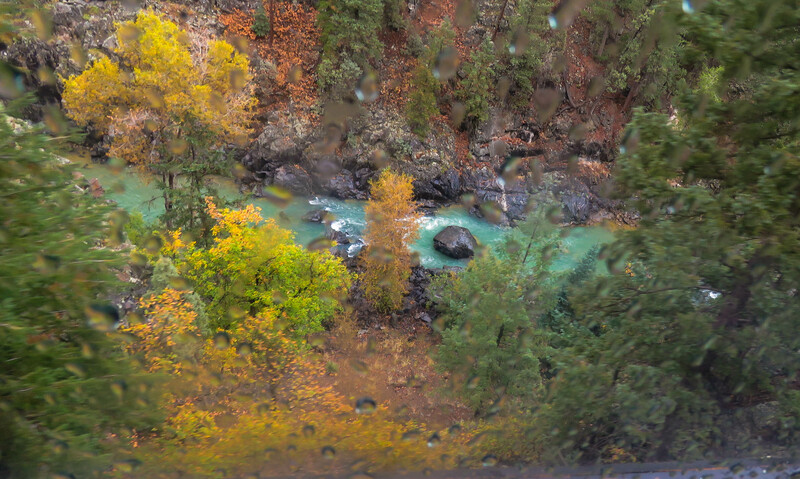 If you get out here, you should consider taking a ride on the Durango & Silverton Narrow Gauge Railroad. The rails are only 3’ apart. 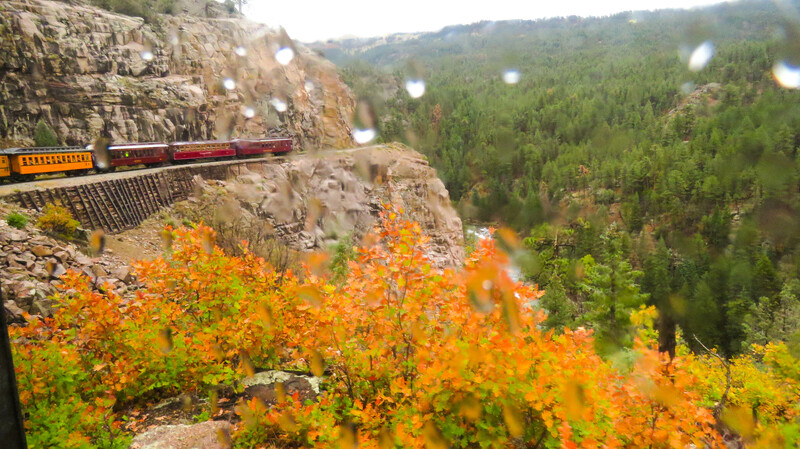 It runs 45 miles between Durango and Silverton. Durango has about 17,000 citizens. Silverton is little more than a pit stop except when the train arrives. 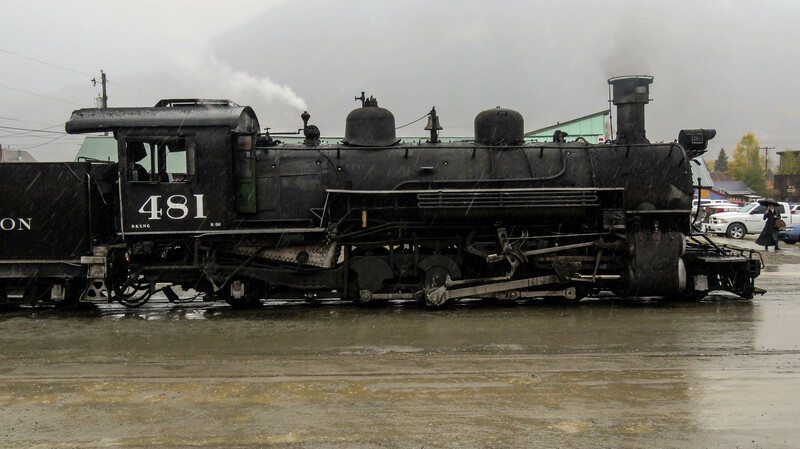 Engine 481, one of 10 built in 1925, at the end of the run in Silverton. Here are a couple pictures along the way. 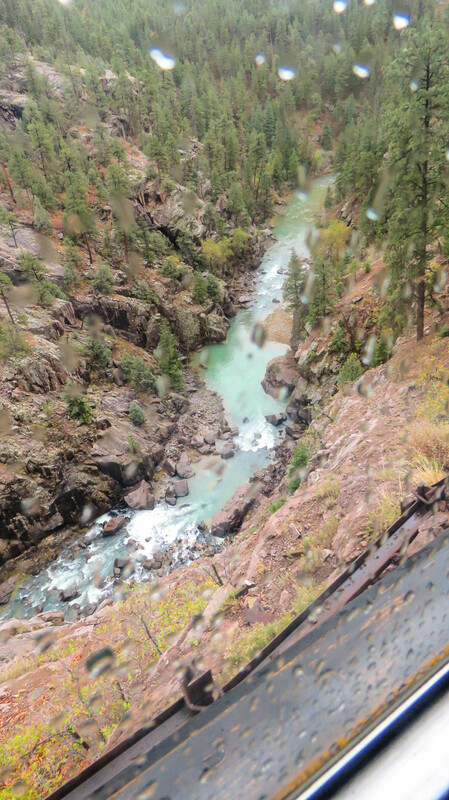 The train runs along the Animas River bed, but some times it is forced high on the mountain side. The river is down from normal due to a drought. It was a gray, rainy day. 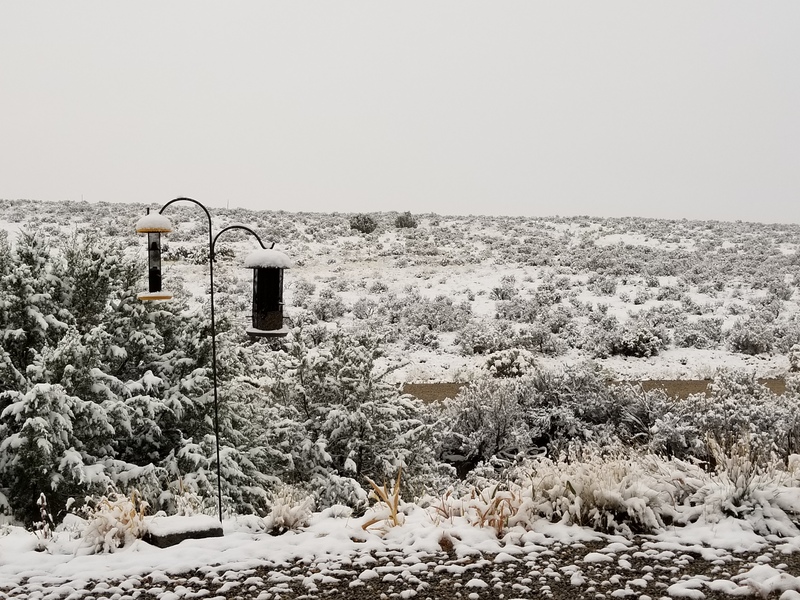 First snow, Oct 15 2018, Taos, NM. A long time ago, I used to love coming out here to ski and enjoy the snow...that was a long time ago. Today, when I got up, I was greeted to this view...nothing gets me to thinking about FL more. I just had a look at the YouTube of kalleswe's son and the battery box. Well done! He did a great job describing it - who built it? What an exciting adventure you're planning.